Arthur Dove (1880-1946) Yours Truly, 1927. Oil on canvas, 16 1/2 x 21 1/2 inches. Courtesy of Hirschl & Adler Modern. Outside the Lines: American Abstraction in the 20th Century, Hirschl & Adler Galleries, New York, NY, September 8-October 8, 2016—This highly personal exhibition commemorates Hirschl & Adler Modern’s dedication to promoting and exhibiting the works of major American abstractionists—an endeavor it has been committed to since its inception in 1981. 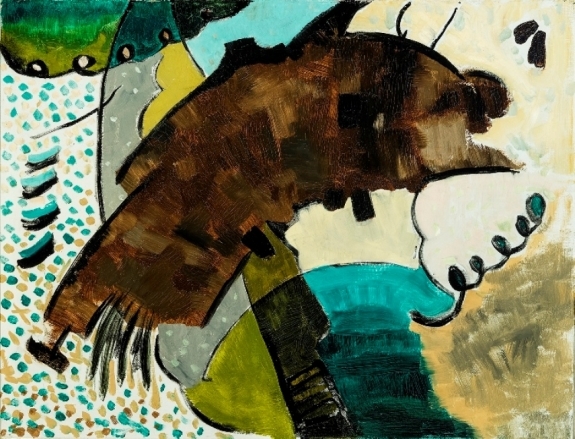 In addition to showcasing works by well-known masters of American Modernism, such as Stuart Davis, Arthur Dove, and Charles Howard, Hirschl & Adler Modern has championed many under-recognized post-war artists, including Stanley Twardowicz, Robert Natkin, and Ray Spillenger.